The DoubleLine CEO says that when the Fed raises rates, everything will change. DoubleLine Funds CEO says a hike in interest rates by the Federal Reserve is nearly certain next Wednesday, and that means crazy days are coming for investors, advisors, traders and others. Gundlach says the markets are pricing in an 80% chance of a hike — most likely of 0.25% — while one survey says 100% of economists think this move should indeed happen. “We’ve had shaky markets since September. It will be interesting to see if markets deteriorate further,” he explained. Unlike Bill Gross of Janus Capital Group, the DoubleLine chief is against such a move given troubles in the market for junk bonds — down 6% so far this year as measured by the JNK ETF — and leveraged loans. Other signs that it is not an optimal time to raise rates include low inflation, weak manufacturing data and a slowdown in profit margins. While Gundlach says it’s possible that the Fed will “pull another Lucy and the football,” referring to the Peanuts cartoon character who yanks the ball from would-be kicker Charlie Brown, he thinks it is more likely that Fed will go ahead with the rate hike. “It’s like a George W. Bush [in Iraq] and ‘Mission Accomplished.’ It’s a bit premature … but the Fed wants to put up the banner. And very soon after, if they do it, we will have chatter about the next hike,” he explained. What would cause the Fed to keep rates steady? “There’s a chance they won’t raise, and it’s completely dependent on the markets,” Gundlach said. Foreign equity and overall credit markets have “deteriorated in substantial ways,” Gundlach said. LIBOR, for instance, has moved up about 15 basis points in recent weeks “anticipating a Fed rate move,” he adds. As for why hiking rates now doesn’t make sense, Gundlach said that past hikes have taken place when quarterly gross domestic product growth was at 3% to 4.5%. “We are below 2%, … and nominal GDP [growth] is not at all saying this is the moment,” he said. “If they raise to 1.38% in a year, how can it be gradual and peaceful, given their dots? It does not sound gradual to me … up to 1.38% for the fed funds rate. Where would the two-year Treasury be?” he asked. If the federal funds rate goes to 1.38%, that could mean “mid-2s for the two-year Treasury. 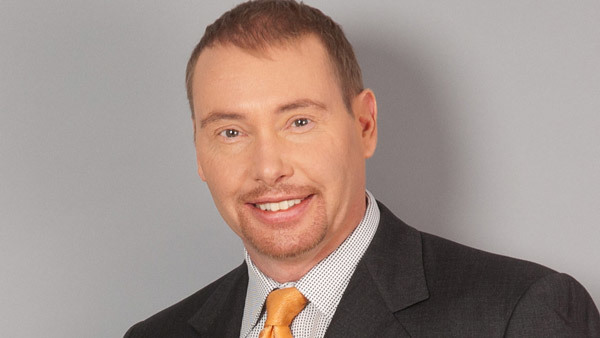 And then, I’ve got the feeling that the yield curve will invert,” Gundlach said. While following this data is uncomfortable and may cause some “jaws to drop,” Gundlach says, his “favorite chart” — found on slide 27 out of the 73 he went through during the conference call — highlights the decline in net profit margins for S&P 500 companies. — Check out Don’t Expect Higher CD Rates When Fed Hikes: Bankrate on ThinkAdvisor.